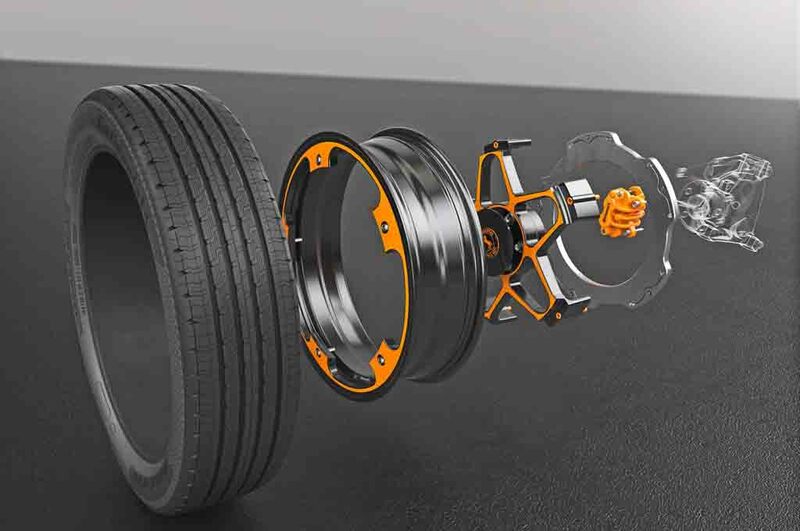 German automotive component manufacturer Continental AG has developed an unique and innovative wheel concept that comes with improved braking capability specially for the electric vehicles. This wheel concept is believed to be playing an important role in the future electric vehicle development. As the company claims, the new wheel concept optimizes the braking system and delivers maximum regenerative braking. Continental AG also claims that the new wheel concept makes the braking system easier to maintain, therefore reducing the cost. The new wheel concept combines an aluminium rim with an individual aluminium centre star. The aluminium disc brakes get attached to the centre star, while the brake caliper grabs the inside of the disc. The brake disc in this new wheel can be much longer compared to the conventional wheels. Thanks to the extensive usage of aluminium, the new wheel concept appears with significantly lightweight compared to the current conventional wheels. This helps in saving precious fuel and thanks to the extensive usage of aluminium, the wheel is immune to corrosion and offers greater durability than the standard wheels. 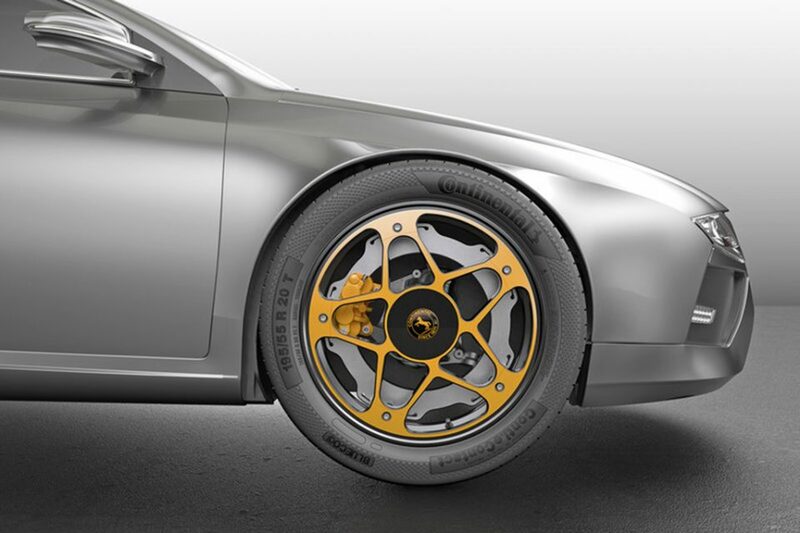 Continental AG also claims that the new wheel’s aluminium disc won’t wear. Therefore, the only maintenance it needs is the occasional new brake pads. The corroded brake discs and wheels also increase the risk of fatal accidents. This new wheel concept will ensure better safety for the occupants inside the car. It is not sure when the new wheel will enter production. But, we can expect the Continental AG to bring the wheel’s production form in near future. As the German company explains, the rust free brakes are very important for an electric vehicle to perform efficiently. The regenerative braking ensures longer running range without recharging. Continental AG is all set for the official debut of the new wheel concept at the upcoming 2017 Frankfurt Motor Show scheduled in September.